Who wants some oreo truffle goodness? I received these oreo truffles from SweeTetite by Marione Diorgio a few weeks back. Just by looking at the photo above, you can already tell they’re from chocolate heaven. Each truffle is filled with low-fat oreo and coated with less sugar. But even so, it doesn’t taste like it. It still tastes every bit as rich and delicious as your normal chocolate, just less sinful. Win win! I really recommend these truffles. I especially love that they’re just the right amount of sweet, not excessively sweet that it makes you want to vomit after just a few bites. 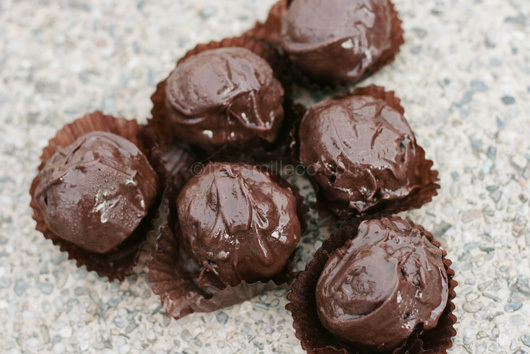 SweeTetite’s truffles let you enjoy the chocolatey goodness down to the last bite! You may contact SweeTetite by Marion Diorgio at 09166814420 or e-mail them at sweetetite@gmail.com. For more updates on their freshly baked chocolates, like them on Facebook.